Ph.D. Pursuing Computer Science and Engineering SRM Institute of Science and Technology (formerly known as SRM University). With C. Lakshmi, “Enhancing Iris Recognition Performance using Feature Selection and BPNN,” Cluster Computing, Springer Series, 2018. (Article in Press). With C. Lakshmi, “Towards Enhancing Non-Cooperative Iris Recognition using Improved Segmentation Methodology for Noisy Images”. Journal of Artificial Intelligence, 10: 76-84, 2017. With C. Lakshmi & Rani Krithiga, R., Iris Recognition Based on GLCM and FFT Feature Set Fusion. International Journal of Pure and Applied Mathematics, 113(12), 57-66, 2017. With C. Lakshmi, Anand, J., & Sekar, N., Multi-unit feature level fusion approach using PPCA. Indian Journal of Science and Technology, 9(38), 2016. With C. Lakshmi, Feature extraction techniques for recognition of iris images: A review. International Journal of Control Theory and Applications, 9(28), 87-92, 2016. With C. Lakshmi & Rani Krithiga, Enhanced Annular Iris recognition using Bag of Vocabulary Models. International Journal of Control Theory and Applications, 9(40), 1095-1100, 2016. With C. Lakshmi, Iris recognition techniques: A literature survey. International Journal of Applied Engineering Research, 10(12), 32525-32546, 2015. With C. Lakshmi & Rani Krithiga, R., Segmentation of dental caries from dental X-ray images using wavelet and watershed transforms. International Journal of Applied Engineering Research, 9(20), 4617-4624, 2014. With C. Lakshmi, R. Rani Krithiga, "Bag of Features Model-Based Iris Recognition Technique with Adaptive Normalization and Enhancement," Conference on Recent Innovations in Software Engineering and Computer Technologies, SRM University, Kattankulathur, 2017. With C. Lakshmi, R. Rani Krithiga, "Iris recognition Technique based on Combined Features of GLCM and FFT," Conference on Computational Intelligence and High-Performance Computing, SRM University, 2016. With Kavitha, "Automatic Data Categorization & Linguistic Summarization Tool," Conference on Recent Trends in Information Technology & Communication, Velammal Engineering College, Chennai, 2011. With M. Ferni Ukrit & C. Lakshmi, “Self Alerting Bin using IOT”. With C. Lakshmi & M. Ferni Ukrit, “Defense Robot for Home Security”. Assistant Professor, Department of Computer Science & Engineering, SRM Institute of Science & Technology, May 2018 – till date. 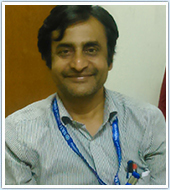 Research Scholar, Department of Computer Science & Engineering, SRM Institute of Science & Technology, Jun 2013 – April 2018. 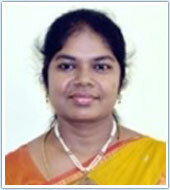 Assistant Professor, GKM College of Engineering and Technology, May 2012 – May 2013. Assistant Systems Engineer, TATA Consultancy Services Ltd., Nov 2006 – May 2009. Sr. Software Engineer, Wipro Technologies, Aug 2005 – Oct 2006. Application Engineer, Slash Support India Pvt. Ltd., Oct 2003 – Aug 2005. “National Workshop on Hands on session for Machine Learning using Python”, Feb 2018, SRMIST. “Springer Nature Author Workshop”, Feb 2017, Anna University, Chennai. National Workshop on “Machine Learning using MATLAB”, Sep, 2016, SRM University. “FDP on Machine Vision”, Jun 2016, SRM University. “National level seminar on Structured Approach of Methods and techniques behind Research Methodology”, Mar-2014, SRM University. “National Workshop on Pattern Recognition and Image Analysis in Biometrics”, Jan-2014, SRM University. “Data Analysis, Regression and Multivariate Analysis using IBM SPSS for Windows”, Jan-2014, SRM University. Organized and conducted one day Workshop on “DATA ANALYTICS USING R WITH HANDS ON” on Mar, 2017 for the faculty members of SRM University. Organized and conducted one-day Refresher course in “R FOR MACHINE LEARNING – HANDS-ON TRAINING “on Apr, 2015 for the faculty members of SRM University. Affiliation: Department of Aerospace Engineering, Kattankulathur Campus, SRM Institute of Science and Technology (formerly known as SRM University). M.E. Aerospace Technology Noorul Islam College Of Engineering, Anna University, Chennai,2012. B.E. Aeronautical Engineering Madras Institute of Technology, Anna University, Chennai,2009. Quantum Mechanics and Relativity (PHY1251). Quantum Mechanics and Mathematical Physics. SU(2) Yang-Mills theory in the Savvidy background is studied at the zero temperature and at finite temperature. The Savvidy vacuum in the Gaussian approximation is plagued by un-stable modes both at zero temperature and at finite temperature. These unstable modes give the imaginary part in the one-loop effective energy density, therefore the Savvidy vacuum is unstable. With the motivation to get real one-loop effective energy density, the stable and unstable modes are separated. The stable modes are treated keeping terms only quadratic in the fluctuation. For the unstable modes, we consider the full action including the cubic and quartic terms and the one-loop effective energy density of the unstable modes is added to that of the stable modes. The resulting energy density is real. Presently we are looking closely at non-Hermitian QM and Factorization Method in QM. Effective Action and Mean Fermion Number Density of Graphene in Constant Magnetic Field at Finite Temperature and Density arXiv:1204.2632v1 [hep - th], Alok Kumar Asian Journal of Chemistry, Vol. 25, Supplementary Issue (2013), S455-S458. SU(2) Yang-Mills Theory in the Savvidy Background at a Finite temperature and chemical Potential Physical Review D75, 085007 (2007), R. Parthasarathy and Alok Kumar. Savvidy Vacuum in SU(2) Yang-Mills Theory, Modern Physics Letters A20, No.22 (2005), 1655-1662, Daniel Kay, Alok Kumar and R. Parthasarathy. Chiral Symmetry Breaking and dual gluon mass in the confining region of QCD Phys. Lett. B595, 373-378 (2004), Alok Kumar and R.Parthasarathy. Chiral Symmetry Breaking in Gribov's Approach to QCD at Low Momentum arXiv:0711.3970 v1 [hep -th], Alok Kumar. Matsubara Frequency Sums, Alok Kumar International Journal of Pure and Applied Mathematics, Volume 113 No. 7 2017, 50 - 57, ISSN: 1311-8080 (printed version); ISSN: 1314-3395 (online version), URL: http://www.ijpam.eu, Special Issue. Covariant and Contravariant Vectors, arXiv:1002.3217v1 v1 [math -ph], Alok Kumar. 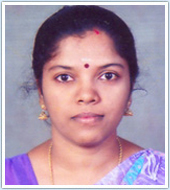 Visitor, IMSc, Chennai, June 2012-to July 2012. Visitor, Neutrino Project, HRI, Allahabad, December 2011 to March 2012. Reviewed by Alok Kumar and Published in CURRENT SCIENCE, VOL. 109, NO. 1499-1500 8, 25th October 2015. Amala Reddy, Free radical quenching efficacy of various extracts of costus pictus to combat oxidative damage/stress: An in vitro study, Asian Journal of Pharmaceutical and Clinical Research VOL:10(2),pp. 178-18,12017. Amala Reddy, Screening, identification and characterization of biosurfactant producing strains from oil contaminated soil- A viable source for degradation of crude oil fraction,ChemTech Research,vol:9,pages:309-320,2016. Amala Reddy, Insights on the anti-inflammatory effect of sequentially extracted fractions of costus pictus: An in vitro study. International Journal of Pharmaceutical Sciences Review and Research vol:40(2) pages:58-64,2016. Amala Reddy, Degradation regime on the interaction of hydrocarbons by a co-culture of Psuedomonas fluorescens (MTCC:8127) and Pseudomonas putida(MTCC:1192), ChemTech Research 6(10), pp. 4556-4563,2016. 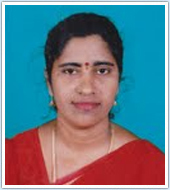 Amala Reddy, Biochemical characterization of three phase partitioned naringinase from Aspergillus brasiliensis MTCC 1344, International journal of biological macromolecules, VOL:80,18–423,2015. Amala Reddy, Analysis of aromatic hydrocarbon degrading capacity by thermophilic bacteria isolated from oil contaminated soil, International Journal of ChemTech Research,Vol.6,Pages:4556-4563,2014 . Amala Reddy, New insights in the management of metabolic disorder in pharmacology: A review with reference to Adathoda vasica for Diabetes mellitus ISBN:1478-6419, Taylor & Francis, 2017 (Book chapter). Amala Reddy, Role of sequentially extracted fractions of Costus pictus in inhibiting oxidative stress: in vitro study, Res. J. Biotech, Vol. 13 (2) February (2018). Amala Reddy, Sujatha S and Ramkumar KM. New insights in the management of metabolic disorder in pharmacology: A review with reference to Adathoda vasica for Diabetes mellitus. Recent progress in medicinal plants. Studium Press LLC, U.S.A., 2018; 1-62699-082-42:283-297. Insights on anti-inflammatory activity of Adathoda vasica, ICABBS,SATYABAMA UNIVERSITY, 2017. Workshop on advances in biotechnology, SVCE. FDP, Insights into research,SRM Institute of Science and Technology (formerly known as SRM University). Assistant professor (Ordinary grade)-July 2010-July 2017, SRM Institute of Science and Technology (formerly known as SRM University). Assistant professor (Senior grade)-August 2017-Till date, SRM Institute of Science and Technology (formerly known as SRM University). Subject matter expert in biotechnology (2009-2010) at Teledata informatics. Ambigai.R and Prabhu.S (2017),”Experimental and ANOVA analysis on tribological behavior of Al/B4C micro and nanocomposite”, Australian Journal of Mechanical Engineering, Taylor and Francis available online,DOI: 10.1080/14484846.2017.1299663, SNIP -0.048. Ramkumar Gandhinathan and R.Ambigai presentated paper titled, “A Semi Atunomous Guiding Vechile(SAGV) for servicing robot to clean windows of Sky Scrappers”, ISBN978-1-4673-9916-6 (IEEE DIGITAL EXPLORE) IEEE , International Conference on Engineering and Technologies (ICETECH), 17th and 18th March 2016, Coimbatore. Ramkumar Gandhinathan and R.Ambigai presentated paper titled, “Design and Kinematic Analysis of Tethered Guiding Vechile (TGV) for facade window cleaning”, ISBN978-1-4673-8208-3 (IEEE DIGITAL EXPLORE) IEEE , International Conference on Innovations in Information Embedded and Communication Systems(ICIIECS), March 2016, Coimbatore. M.Dinesh Kumar and R.Ambigai presentated paper titled, “An In pipe Adaptive Robot (IPAR) using Caterpillar Wall Pressed Type”, ISBN 978-1-4673-8023-5 (IEEE DIGITAL EXPLORE) IEEE , International Conference on Engineering and Technology (ICETECH), 17th and 18th March 2016, Coimbatore. M.Dinesh Kumar and R.Ambigai presentated paper titled “Developement of an In-Pipe Adaptive Robot”, ISBN 978-1-4673-8208-3 (IEEE DIGITAL EXPLORE) IEEE , International Conference on Innovations in Information Embedded and CommunicationS Systems(ICIIECS), March 2016, Coimbatore. Kamala Kannan S.R. and Ambigai.R, “Analysis of Modular Biped Wall climbing Robot with High Mobility and Effective Transient Mechanism”, IEEE International Conference on Computer, Communication and Signal Processing (ICCCSP-2017), January 10th and 11th, SSN college of Engineering, Chennai. Kamala Kannan S.R. and Ambigai.R, “Model and Analysis of Modular Biped Wall Climbing Robot with High Mobility and Effective Transient Mechanism”, Research Day, 28th Feb’17, SRM University, Chennai. Kamala Kannan S.R. and Ambigai.R, “Optimizing a Biped Wall Climbing Robot”, 5th International Conference on Contemporary Engineering 2017, 24th and 25th March 2017, Madha Engineering College, Chennai. Nehal D Shah, Harshavardhan Joshi and Ambigai,” Magnetic Levitation Using Superconductors”, International Conference on Advances in Engineering Research and Applications (ICAERA-2016), 15th and 16th Dec’16, Oriental College of Technology, Bhopal. RamKumar Gandhinathan and R.Ambigai, “A Semi Autonomous Guiding Vehicle(SAGV) for servicing robot to clean windows of Sky Scrappers”, ISBN978-1-4673-9916-6 (IEEE DIGITAL EXPLORE) IEEE , International Conference on Engineering and Technologies (ICETECH), 17th and 18th March 2016, Coimbatore. RamKumar Gandhinathan and R.Ambigai, “Design and Kinematic Analysis of Tethered Guiding Vechile (TGV) for facade window cleaning”, ISBN978-1-4673-8208-3 (IEEE DIGITAL EXPLORE) IEEE , International Conference on Innovations in Information Embedded and Communication Systems(ICIIECS), March 2016, Coimbatore. M.Dinesh Kumar and R.Ambigai, “An In pipe Adaptive Robot (IPAR) using Caterpillar Wall Pressed Type”, ISBN 978-1-4673-8023-5 (IEEE DIGITAL EXPLORE) IEEE , International Conference on Engineering and Technology (ICETECH), 17th and 18th March 2016, Coimbatore. M.Dinesh Kumar and R.Ambigai, “Development of an In-Pipe Adaptive Robot”, ISBN 978-1-4673-8208-3 (IEEE DIGITAL EXPLORE) IEEE , International Conference on Innovations in Information Embedded and CommunicationS Systems(ICIIECS), March 2016, Coimbatore. R.Ambigai and Dr.S.Prabhu, “Friction And Wear Behaviour of Al-Si3N4 Nano Composite and Al-Gr-Si3N4 Hybrid Composite under Dry Sliding Conditions”, won Silver medal in Research Day 2016 @ SRM University, Chennai. RamKumar Gandhinathan and R.Ambigai, “A Tethered Guiding Vehicle (TGV) for facade window cleaning”, won Silver medal in Research Day 2016 @ SRM University, Chennai. S.M.Mohamed Javid and R.Ambigai,“Design and Fabrication of an Outdoor Quadcopter” in Emerging Trends in Communication Systems - ETCS’15 6th National conference in Dr. Navalar Nedunchezhiyan College of Engineering on 27th May 2015. S.M.Mohamed Javid and R.Ambigai,“Design and Fabrication of A Four-Legged Robot For Fertilizer Spraying” in Emerging Trends in Communication Systems - ETCS’15 6th National conference in Dr. Navalar Nedunchezhiyan College of Engineering on 27th May 2015. R.Ambigai and Rajendra boopathy, “Tribological behavior of Brake pad materials under dry sliding conditions” in UGC sponsored seminar at Annamalai University on Feb’08. Participated in short term course on ‘Composite material’ by Debes Battachariya from 7-12th March'16. Attended Faculty Development program for Surface Roughness Measurement (dec’14), Master Cam (2013), and Mat lab (2012). International Conference on Advances in Materials Processing and Characterization at College of Engineering Guindy campus. Seminar on Challenges and Opportunities in Surface Engineering Research at National Institute of Technology, Tiruchirappalli. Jamison, T. F.; Standley, E. A. “Nickel Pre-Catalysts and Related Compositions and Methods” 2015, U.S. Patent No. 20150141684, May 21, 2015. Hatton, T. A.; Jamison, T. F.; Kozak, J. A.; Simeon, F.; Wu, J. “Methods and Systems for the Formation of Cyclic Carbonates,” U.S. Patent Application No. 20130310575, November 21, 2013. With N Kumar and R Rao, "Quantifying Loss due to Consumer Stockpiling"
Assistant Professor, Mechanical Department, SRM University, Kattankulathur, 2008-2012. Committee member in organizing the 2nd International Conference on Advances in Mechanical Engineering (ICAME 2018)- paper reviewer and publication. One of the syllabus framing member for NFTDC for manufacturing stream. University second rank holder in M.E. at CEG, Anna University. Recipient of Silver medal for my paper “Friction And Wear Behaviour of Al-Si3N4 Nano Composite and Al-Gr-Si3N4 Hybrid Composite under Dry Sliding Conditions” on research day-2015. Recipient of Silver medal as co-author for a paper “A Tethered Guiding Vechile (TGV) for facade window cleaning” presentation on research day-2015. B.Amutha,M.Ponnavaikko,"RSSI Based Optimized Location Estimation [ROLE] Algorithm for Wireless Sensor Networks" IEEE Systems Journal, Accepted for Publication. B.Amutha,M.Ponnavaikko,"Energy Efficient Hidden Markov Model Based Target Tracking Mechanism in Wireless Sensor Networks "Journal of Computer Science 5(12):1082-1090,2009.ISSN 1549-3636. B.Amutha,M.Ponnavaikko,"Location Update Accuracy in Human Tracking System Using Zigbee Modules"9IJCSIS)International Journal of Computer Science and Information Security,Vol 6,No 2,2009,[Impact Factor 0.423]. B.Amutha,S.Arunkumar,M.Ponnavaikko,"Enhanced QoS Mechanism using Mobile Agents in Wireless Sensor Networks"International Journal of Imaging Science and Engineering(IJISE),GA,USA,ISSN 1934-9955,VOL 1,NO 4,October 2007. B.Amutha,M.Ponnavaikko,"Predator-The Blind Vision-Mobile Assistant as a Navigational Aid for Blind Children to identify Landmarks" International Journal of Recent Trends in Engineering,Vol 2,No 3,November 2009. B. Amutha, M. Ponnavaikko, N.Karthick," Localization Algorithm Using Varying Speed Mobile Sink for Wireless Sensor Networks" International Journal of Ad Hoc Sensor and Ubiquitous Computing [IJASUC],Vol 1 No 3,pp 130-149,September 2010. N. Karthick, B. Amutha, J. Naren, and K. Venkatraman, "Sensor-Based Dead Reckoning for land vehicle navigation system," International Journal of Recent Trends in Engineering, vol. 2, no. 4, pp. 240-242, 2009. B. Amutha, M. Ponnavaikko, " Locate: A hybrid localization scheme for wireless sensor networks" : Industrial Electronics & Applications, 2009. ISIEA 2009. IEEE Symposium on : 4-6 Oct. 2009, Volume: 1, page(s): 295 300,KualaLumpur,Malaysia. Karthick, N.; Prashanth, K.; Venkatraman, K.; Nanmaran, A.; Naren, J.;, "Accurate Location Estimation for a Dynamically Moving Object Using Modified Particle Filter Algorithm," Advanced Computer Control,2009. ICACC '09. International Conference on, vol., no., pp.301-305, 22-24 Jan. 2009. Karthick, N.; Prashanth, K.; Venkatraman, K.; Nanmaran, A.; Naren, J.;, "Location Estimation Using RSSI and Application of Extended Kalman Filter in Wireless Sensor Networks," Advanced Computer Control,2009. ICACC '09. International Conference on, vol., no., pp.337-341, 22-24 Jan. 2009. Nanmaran, Amutha. ; Ponnavaikko, M.; Karthick, N., "Target Tracking with Integrated Coverage in Wireless Sensor Networks," Advances in Computing, Control, & Telecommunication Technologies, 2009. ACT '09.International Conference on, vol., no., pp.806-808, 28-29 Dec. 2009. Karthick, N.; Venkatraman, K.; Naren, J.; Amutha, B.;, "A Resource Management Mechanism for DownLinking in WiMax Networks," Advances in Computing, Control, & Telecommunication Technologies, 2009.ACT '09. International Conference on, vol., no., pp.803-805, 28-29 Dec. 2009. B.Amutha,M.Ponnavaikko,"Spatial Cognition and Computation of Moving Vehicles using Autonomous Guiding System"2009,IEEE International Advance Computing Conference(IACC 2009,Patiala,India,6-7,March 2009). Karthick, N.; Sundaram, N.K. ; Amutha, B.;, "An Autonomous Learning Protocol for Optimal Performance in Wireless Ad Hoc Networks," IEEE Advance Computing Conference, 2009. IACC 2009. International Conference on, 6-7 March 2009. B.Amutha,M.Ponnavaikko,N.Karthick"MobiSpeed-A Range Based Localization Algorithm for Wireless Sensor Networks" ASUC International Conference at Chennai July 23-25,2010.,published in Springer Lecture Notes[LNCS] Series. Recent Trends in Networks and Communications,Communications in computer and Information Science, 2010, Volume 90, Part 4, 672-681, DOI: 10.1007/978-3-642-14493-6_68. Divyans Mahansaria, G.S. Kartik, Gautam Singh, Himanshu Mishra, Kartikey Singh, Sandeep Sharma, and B. Amutha,"An Automated and Full-Proof Attendance Marking Scheme (TATTEND) Using Three Integrated Technologies ",International Conference on Recent Trends in Networks and Communications (NECOM 2010), Chennai, India, July 23-25 2010. pp. 190-199. Publisher - Springer. B.Amutha, J.I.Sheeba, B.Vanathi,"RSA Based Mobile Agent Multi Resolution Data Integration Algorithm for Remote Medical Care using Distributed Wireless Sensor Networks", International Conference on Information Security and Computer Forensics-ISCF-2006, SRM Institute of Science and Technology (formerly known as SRM University) Dec6-8,2006. N.Karthick,R.Vijayakumar,B.Amutha,"Design and Development of a Zigbee Enabled Wireless Pen for Visually Impaired"International Conference on Emerging Trends in Computer Science at Sairam Engineering College on Dec 2009. B. Amutha, C.Malathy,K.Annapoorani,"Reaching Greater Peaks", in the National Conference on Role of Women for India Ahead,SRM Institute of Science and Technology (formerly known as SRM University),Chennai,April2-3,2007. Karthick, N.; Guhan, A.S.; Baranidharan,B.Murugananadham, B.Amutha;, "Performance Analysis of Routing Protocol Mechanism for Wireless AdHoc Networks" in Emerging Trends in Computer Science and Engineering, 2009. ETICSE'09.National Conference on,at K.S.Rangasamy College of Technology,Tiruchengode, 20 Feb. 2009. Lecture on, "Computer Networks" at Crescent Engineering College, April, 2006 along with Mrs.K.Annapoorani/CSE. Lecture on, "Localization in Wireless Sensor Networks", at the National Workshop on Wireless Sensor Networks at Easwari Engineering College on 28-29 September 2007. A Survey paper on, "Effects of Affect on Mental Health- Portion of Cognitive Science"
Virtual Eye-Design of a ZigBee Based GPS Assisted device for Visually Impaired. Design and Development of Cognitive sensors for Short Term Memory Loss. Published a paper 'Features based Image Classification using Weighted Feature Support Vector Machine' in International Journal of Computer Applications, 2011. 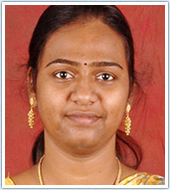 Assistant Professor, SRM Engineering College/ SRM Institute of Science and Technology (formerly known as SRM University), (JUN 2012- Till Date). Worked in Cognizant Technology Solutions as Programmer Analyst Trainee from July 2011 to July 2012. 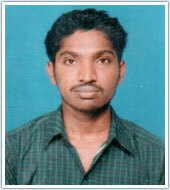 Worked in JNN Institute of Engineering as Lecturer from August 2008 to July 2009. 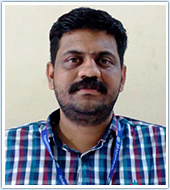 Assistant Professor, Department of Computer Science and Engineering, SRM Institute of Science and Technology, 2018-Present. Teaching Assistant, Department of Civil Engineering, IIT Kanpur, 2012-2017. Senior Project Engineer, IIT Kanpur, August 2017 - March 2018. Analyst, Management Consulting and Integrated Markets, Accenture, July 2011 - Nov 2011. Software Engineer, Infosys, June 2007 - July 2008. Awarded with Young Author Award in the ISPRS TC VIII Mid-Term Symposium, India, 2014. Affiliation: Department of Genetic Engineering, School of Bio-Engineering, Faculty of Engineering & Technology, Kattankulathur Campus, SRM Institute of Science and Technology (formerly known as SRM University). Systems Biology approach for analyzing protein interaction network and signaling pathway involved in autoimmune disorders. Thiyagaraj A, Sunny JS, Hopper W. Effect Of Toll-Like Receptor Inhibitor Imiquimod On IL1r1 Interaction With IL-1ra And Its Snp Variant-An In Silico Approach. International Journal of Pharmacy and Pharmaceutical Sciences. 2016;8(5). Thomas, PJ T Anand , P Suresh, S Janarthanan & S Vincent 2006. Designing Specific Oligonucleotide primers for Metallothionein genes: Indian Journal of Biotechnology .5: 120-122. Proceedings “Insilico modeling and simulation of Neuroendocrine-immune Modualtion through Adregenic and estrogen receptor mediated signals in lymphocytes”, at International conference on neuroscience 2013 at Allahabad India, Oct 25-27 2013. Proceedings Modelling & Simulation of Mitogen activated Protein kinase pathway to understand its regulatory mechanism in cancer. At National Conference on BAMHT, Feb. 24-25, Sri Venkateswara University, Tirupati. Proceedings National conference on Biodiversity Jan 2006 “Role of GIS in Environmental monitering”. Proceedings National Symposium on Molecular Biology- 50 years Progress “Proteomics”. (Communicated) In silico modelling and simulation of neuroendocrine-immune modulation through adrenergic and 17β-estradiol receptors in lymphocytes show differential activation of cAMP. Priyanka, H.P ., Thiyagaraj, A. , Krithika, G. , Hima, L. , Hopper, W. , ThyagaRajan, S:2017. Working as an assistant professor in SRM Institute of Science and Technology (formerly known as SRM University), from 2007 till date. 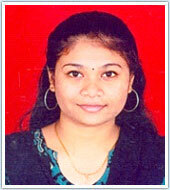 NSBAMS ’09-‘National seminar on bioinformatics applications in medical sciences’- SRM university, 13-14 march 2009. Gold medal for best research paper presentation on Research Day, 2012.